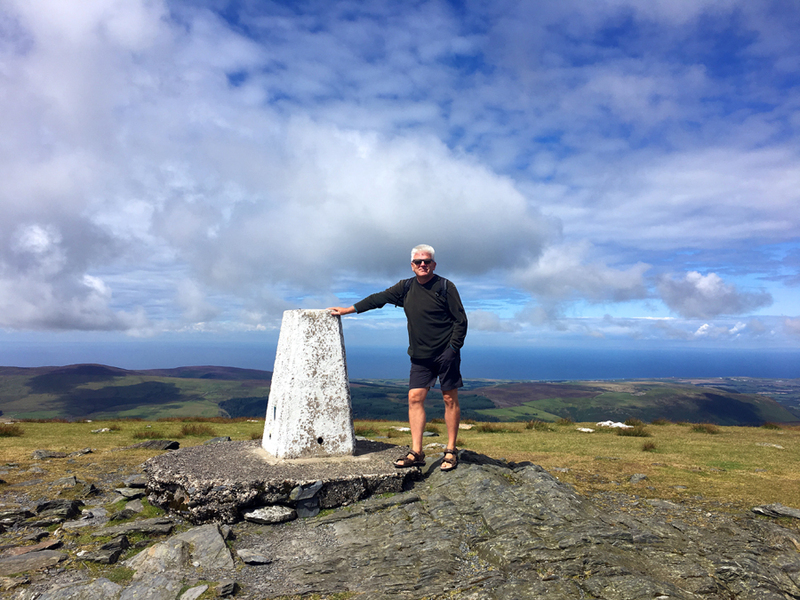 At the end of July 2017, we spent five largely sunny days on the Isle of Man and can happily say that it was a wonderful trip which we’d repeat like a shot! 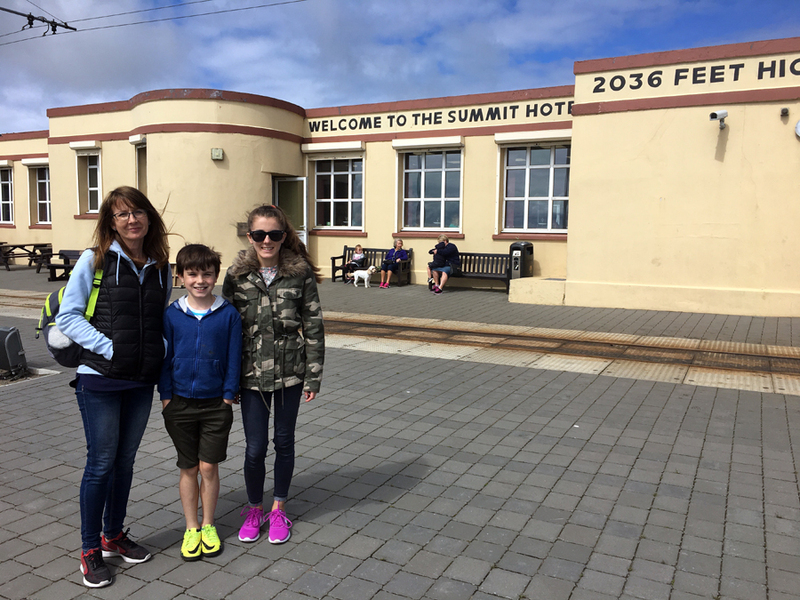 Although our itinerary was packed with lots of things to do and see, we soon realised that it would take more than one adventure to cover everything we’d liked to have experienced. So, if we were looking for a reason to return sooner rather than later, that’s it. Measuring just 33 miles by 13, this self-governing isle in the middle of the Irish Sea boasts a rugged coastline, rolling landscape, medieval castles, heritage railways, picturesque capital and much, much more. It’s a smashing little place which has something for everyone. 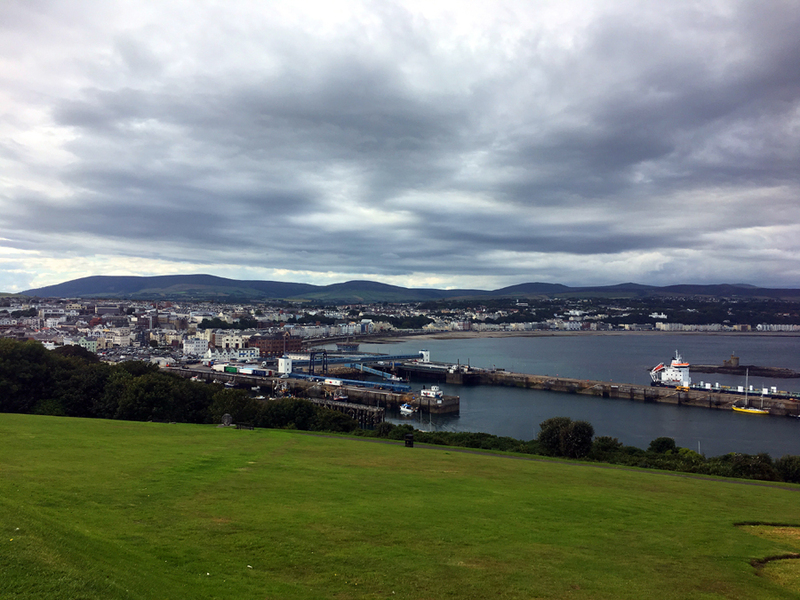 Isle of Man’s capital is a vibrant town situated on the east coast. 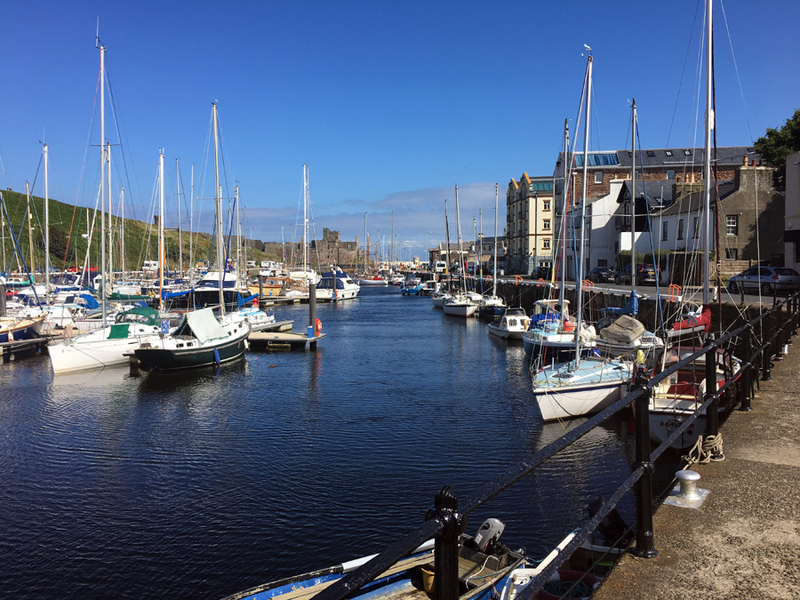 It stretches for an impressive two miles around Douglas Bay and provides the perfect base for exploring the rest of the isle. The town’s compact nature means exploring on foot is easy for everyone, including little ones. What we enjoyed were regular strolls along the promenade, especially at night when the twinkling fairy lights illuminate the sea front. 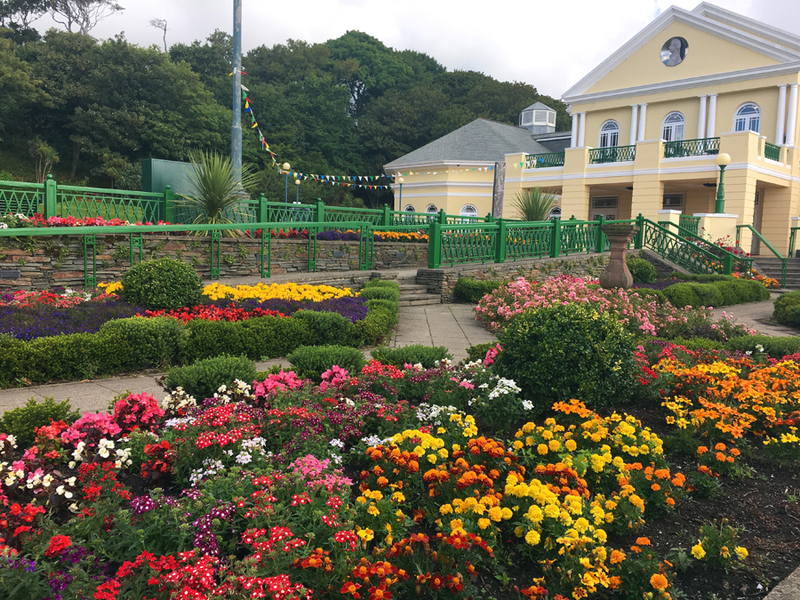 Part way along the promenade, we admired the hydrangeas and antirrhinums which were in bloom in picturesque sunken gardens while Hollie and Peter enjoyed the play area nearby. 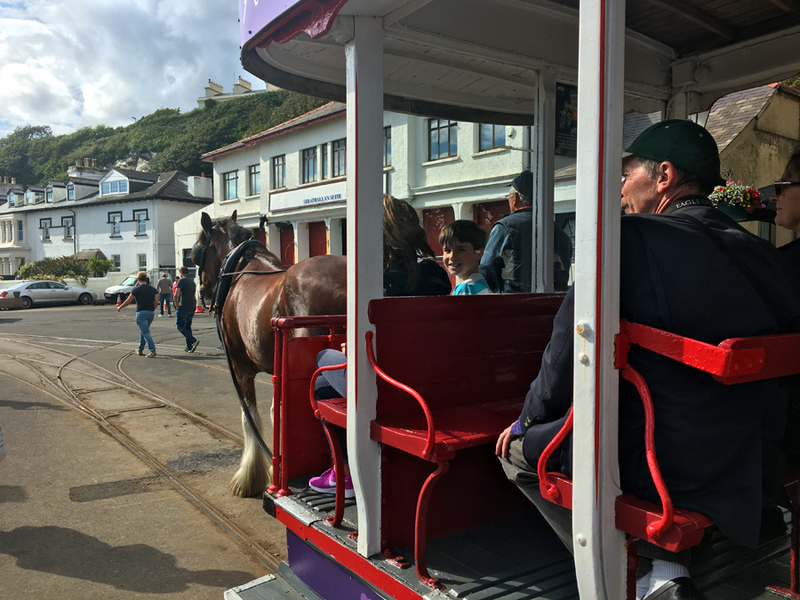 One afternoon, we jumped aboard the iconic Horse Tram (runs April-Nov) which covers the length of Douglas’s promenade. 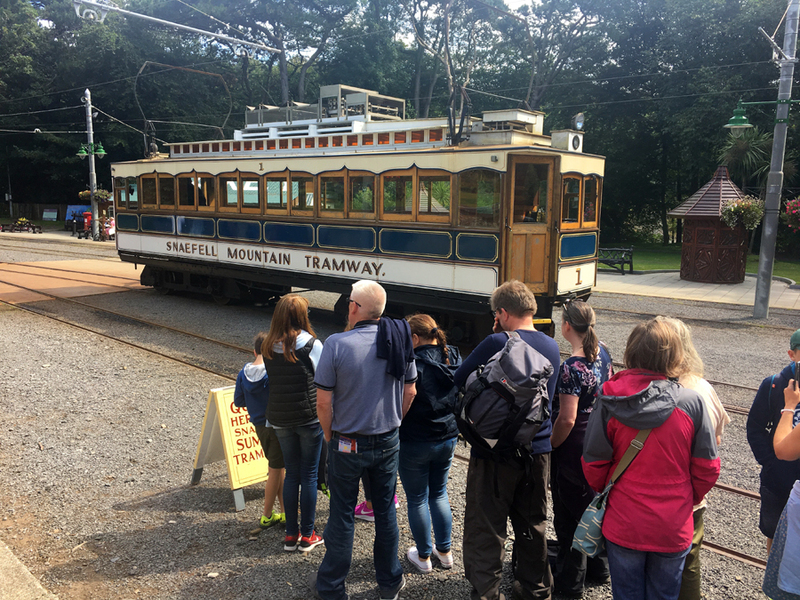 Dating from 1876, it’s Britain’s oldest surviving horse tramway and the passengers over the years have included Royalty, such as the Queen and Princess Margaret. It’s a fun way to travel along the sea front and we all enjoyed it. 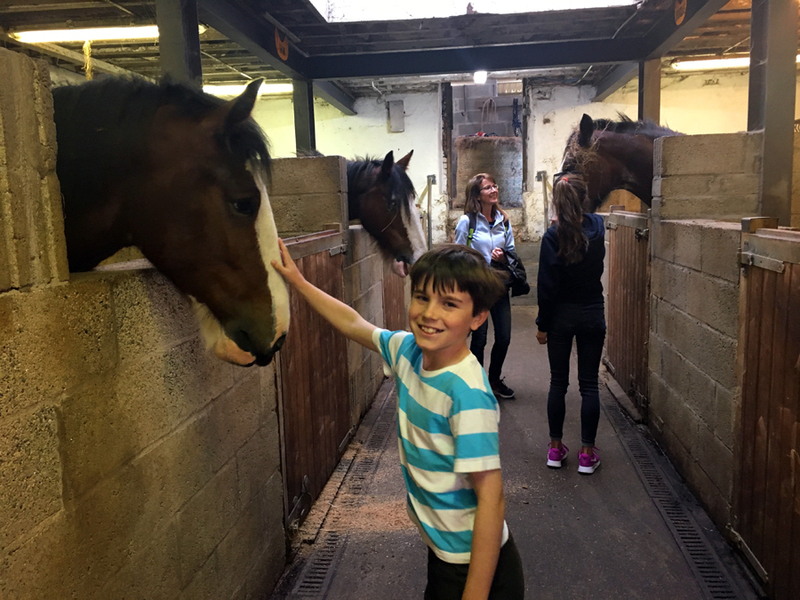 Afterwards, we headed to the stables, situated alongside the promenade, which is open to visitors. 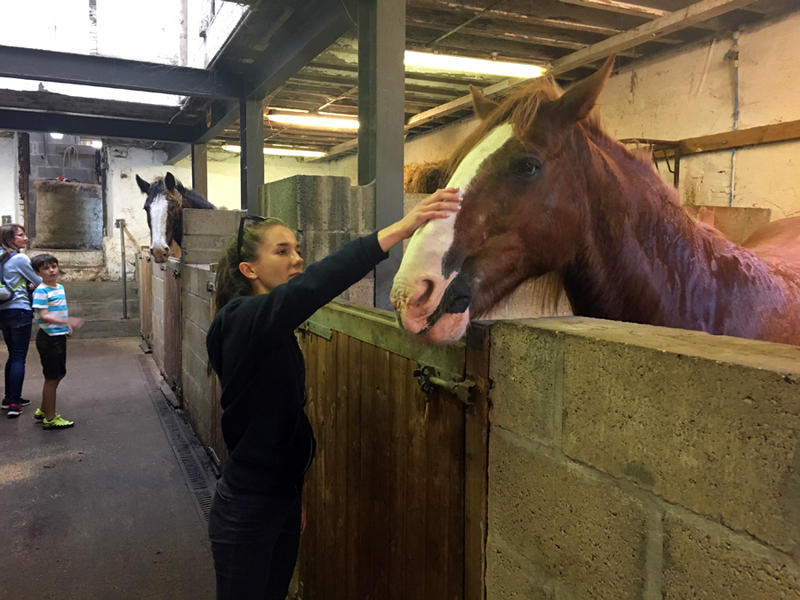 It was lovely seeing the horses resting and enjoying a well-earned meal after their shift had finished. 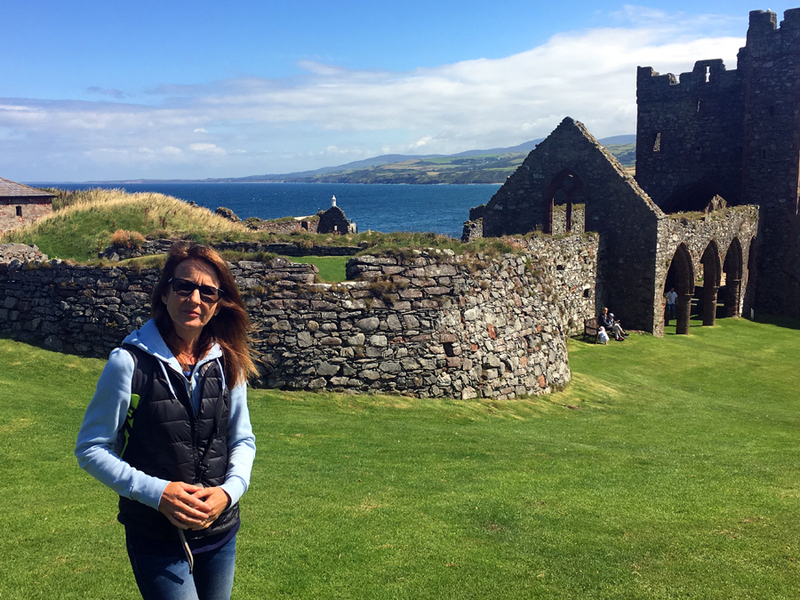 Peel, on the southwest coast, is a must. 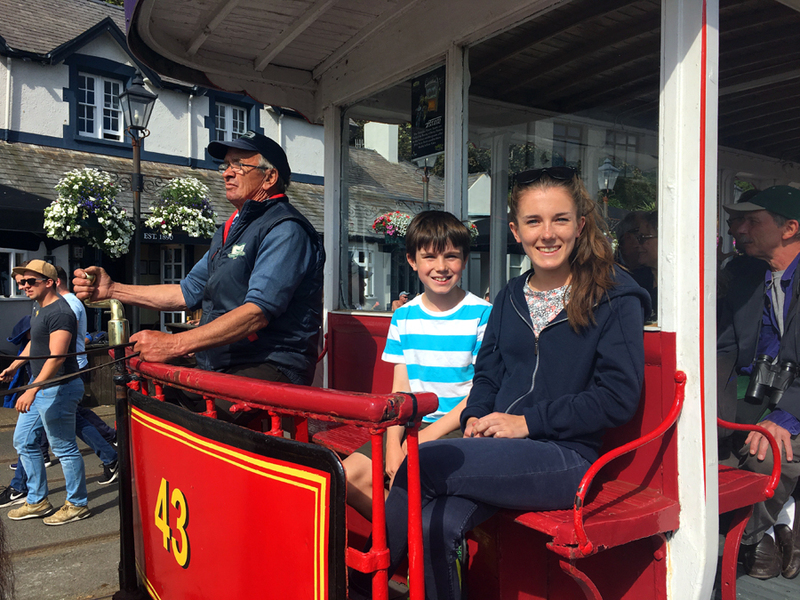 Easily reached by car, bus or one of the isle’s historic 19th century steam trains (closed winter months), this pretty town offers shops, eateries, beach, museums and much more. For many, its main draw is the ruins of a Viking-built castle overlooking the town. What we liked is that you can wander around the ruins and aren’t restricted by barriers and ropes. 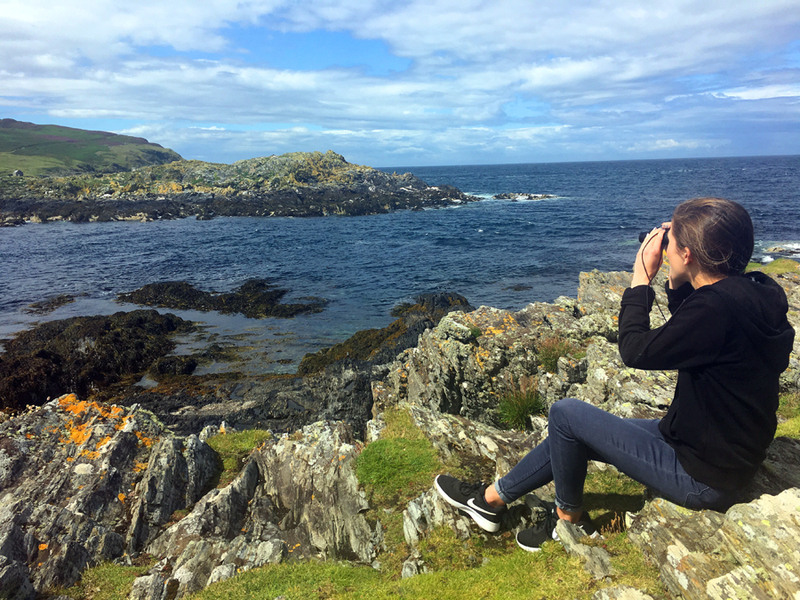 Plus, because the castle’s remains stand on the rugged mass of St Patrick’s Isle, you’ll need your cameras because you’re afforded a stunning view back over the bay. 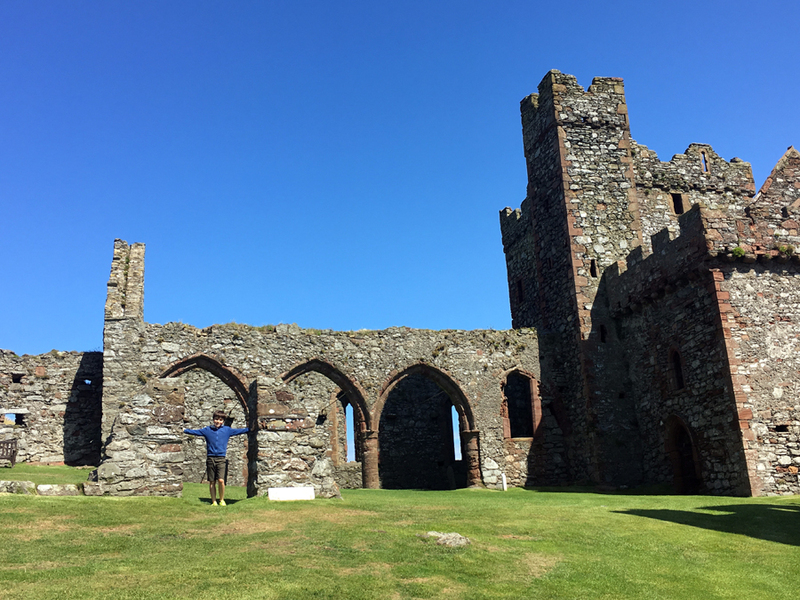 After wandering around the castle, we burnt off a few calories by walking up Peel Hill to a folly; it’s no mountain but the slopes stretching up from Fenella Beach are popular and well worth the effort because the views are spectacular. If you can’t make it to the top, don’t worry because you can relax on one of the many benches en route. 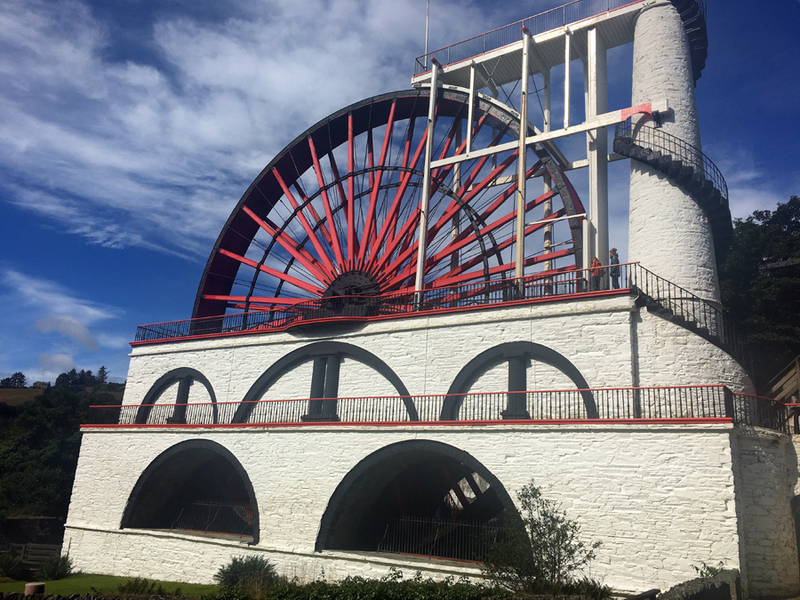 Apparently, it’s the world’s largest working waterwheel and is a must for your itinerary. Built in the 1850s, its job was to pump water from the lead and zinc mines 1,500-feet below the east coast village of Laxey. Although the mines closed in the 1920s, the striking red and white wheel still turns and has become a major tourist attraction. 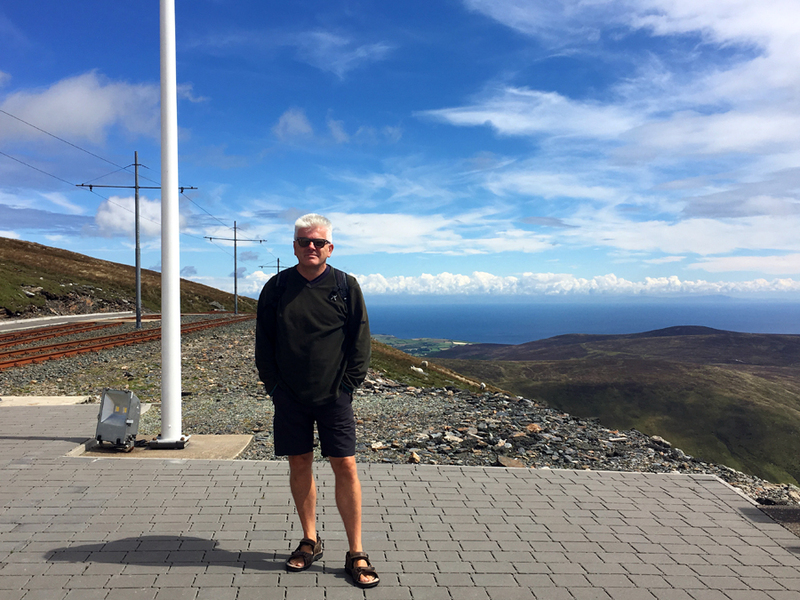 If you don’t mind heights, climb the narrow steps to a viewing platform for a real sense of the wheel’s enormity – and the lovely scenery surrounding it. Before leaving, we strolled around the trails surrounding the wheel to get an insight into the workings of the former mines (we donned hard hats and entered one of the mine shafts) and the village’s industrial heritage. 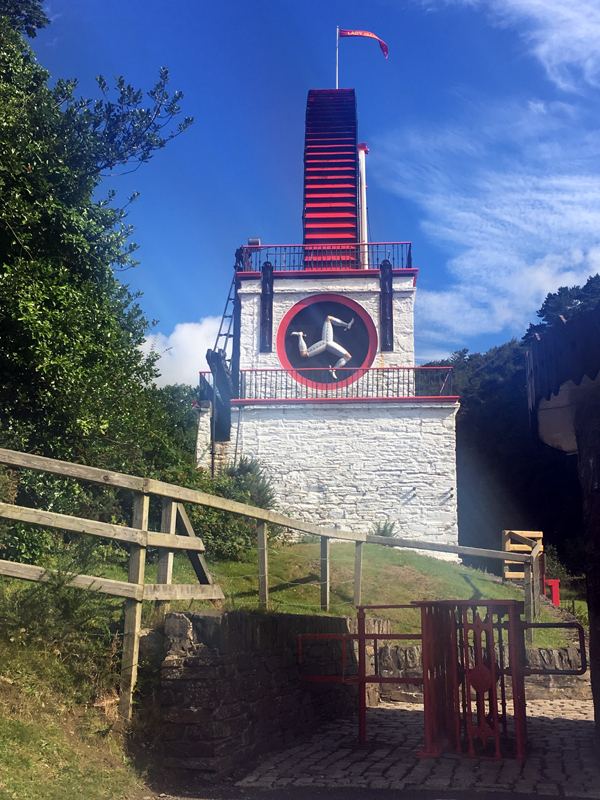 As well as the water wheel and exploring the village, another reason for visiting Laxey is to catch the Snaefell Mountain Train to the roof of the isle. Established in 1895, it’s amazing to think that the 3.5 foot gauge railway winding its way from the village to the summit took just seven months to build. The tram stops halfway (known as The Bungalow) before climbing to the top of the Isle of Man’s only mountain. Here, 2,036 feet above sea level, you have panoramic views to die for – that’s if the weather is kind. We wandered around and found a place to relax for a while before catching a tram back down. Anyone wanting refreshments can buy them at the summit restaurant, although it’s a little pricey. We’d recommend the 30-minute trip, which includes an informative commentary, to families. However, it’s best to arrive at the station early because seats are limited (around 45-50 per tram). 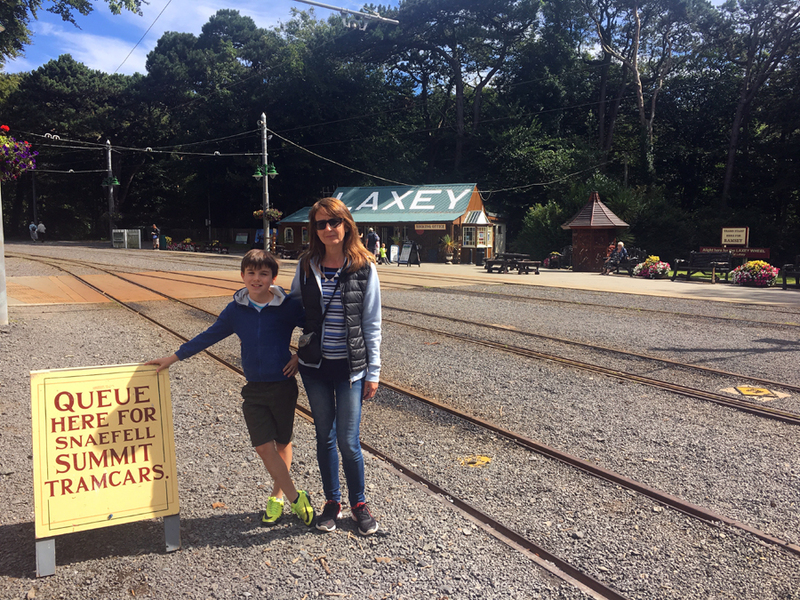 Only one tram was working when we visited, but if two are working you can expect a 30-minute wait before your return journey back to Laxey. 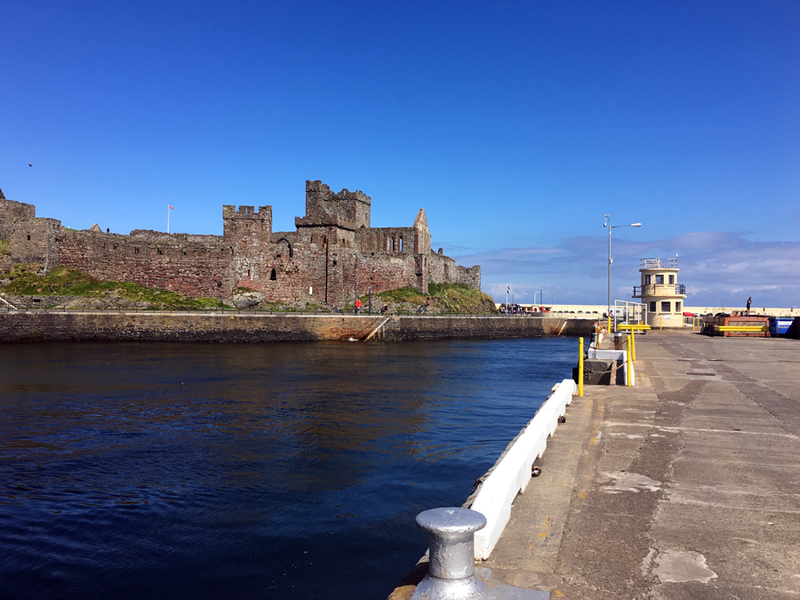 One afternoon we headed for Castletown, a pretty town in the south, which is home to Castle Rushen – among Europe’s best preserved medieval castles. Dating back to the Viking era, this limestone castle dominates the skyline. Inside, we enjoyed exploring the various levels and found the interactive displays helped bring to life the sights and sounds of the castle’s past. 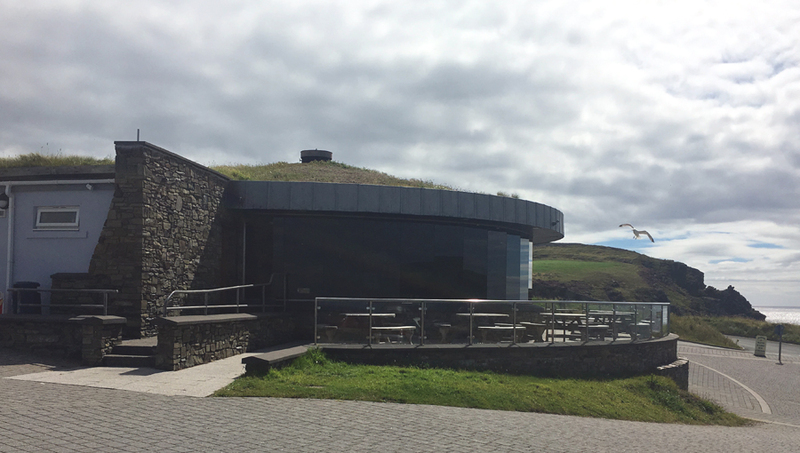 Open all year round, this fascinating museum in Peel explores the island’s Celtic, Viking and maritime history. 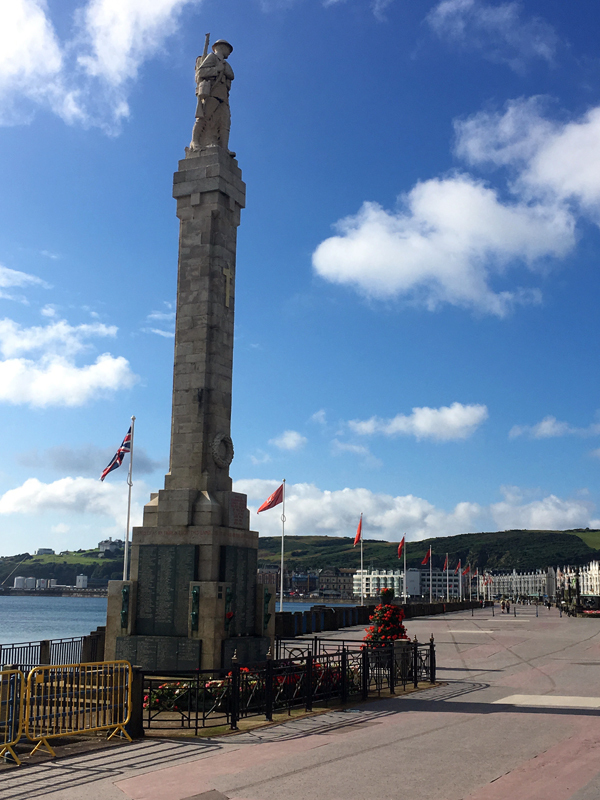 Sometimes the idea of visiting a museum, especially with younger ones in tow, can be rather daunting but you won’t feel that way as soon as you step inside the very well presented House of Manannan. Among the many exhibits which impressed us were the mock-ups of Celtic and Viking living quarters and boats; plus, there were many short films playing which provided you with an intriguing glimpse into a moment of history. This acclaimed interactive museum close to Peel Harbour boasts an excellent gift shop selling, among other items, crafts and collectables. This was one of our favourite experiences. 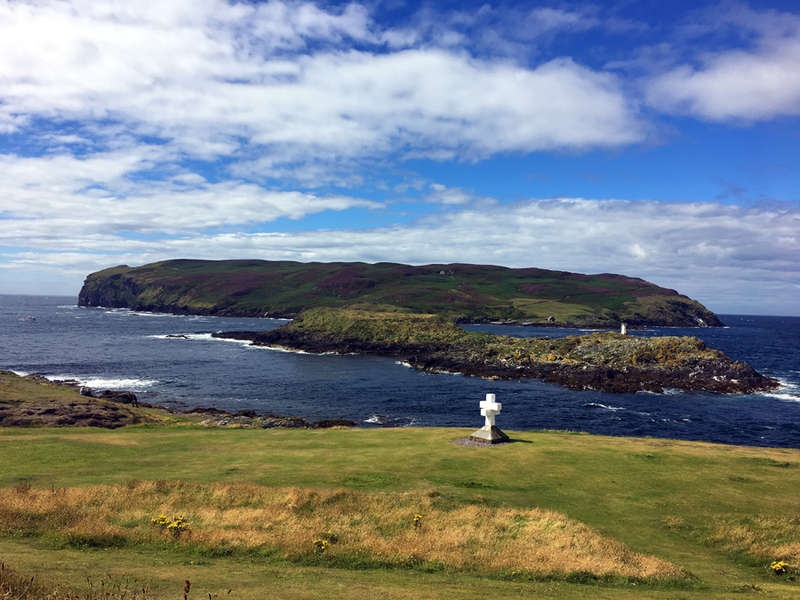 We explored the Sound, situated at the southwestern tip of the island, on our first day and it remained a highlight throughout our time on the Isle of Man. 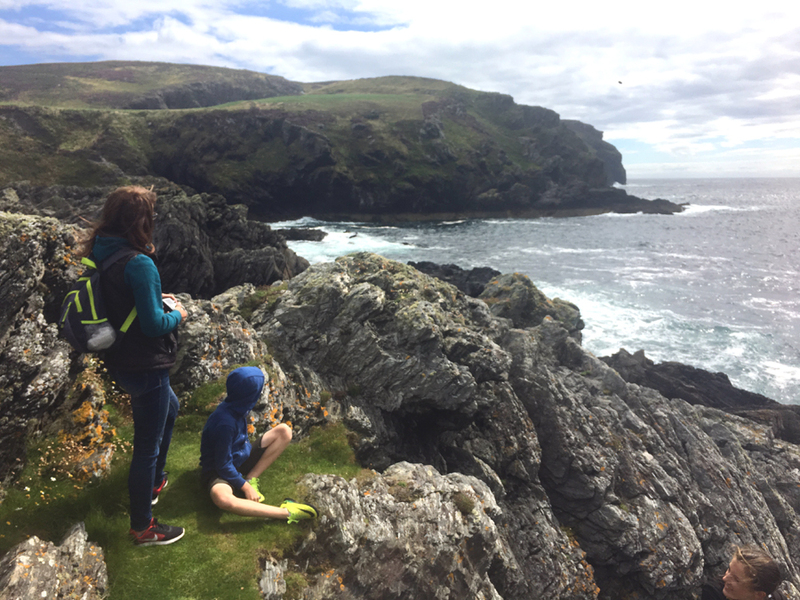 We spent ages just relaxing on the grass and admiring the stunning view, looking towards the Calf of Man, a 618-acre rugged island separated from the main coastline by a narrow stretch of water. The occasion was made even more special when Hollie suddenly spotted a group of seals sprawled over the rocks below us. 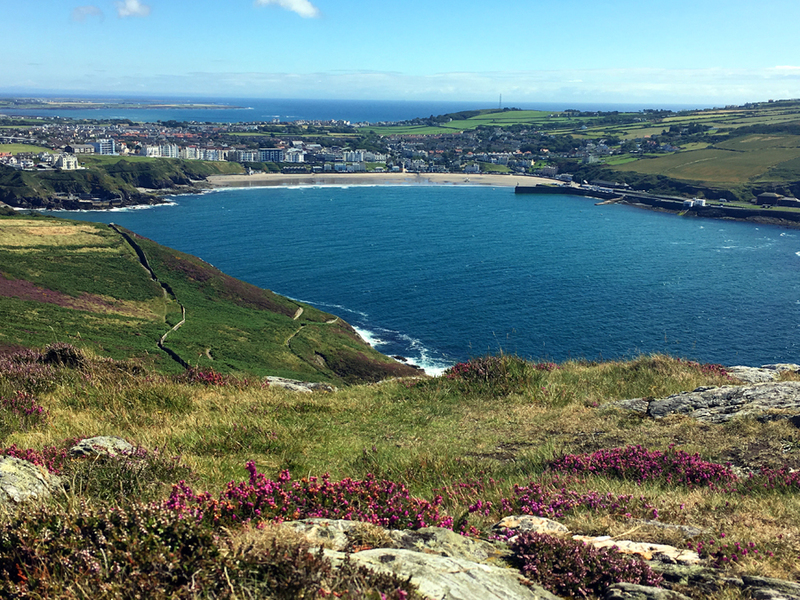 An information leaflet I carried with me described this part of the Isle of Man as one of its “most treasured places” and we’d certainly agree with that. In fact, we couldn’t get enough of the place and although we’d planned to move on we decided to stay a bit longer by enjoying a walk along the cliffs and having a coffee and bite to eat at The Café at The Sound, a modern-looking, turf-roofed building with an expansive glass frontage affording spectacular views across to the Calf. Although we found it a little pricey, it was worth it for the view alone. 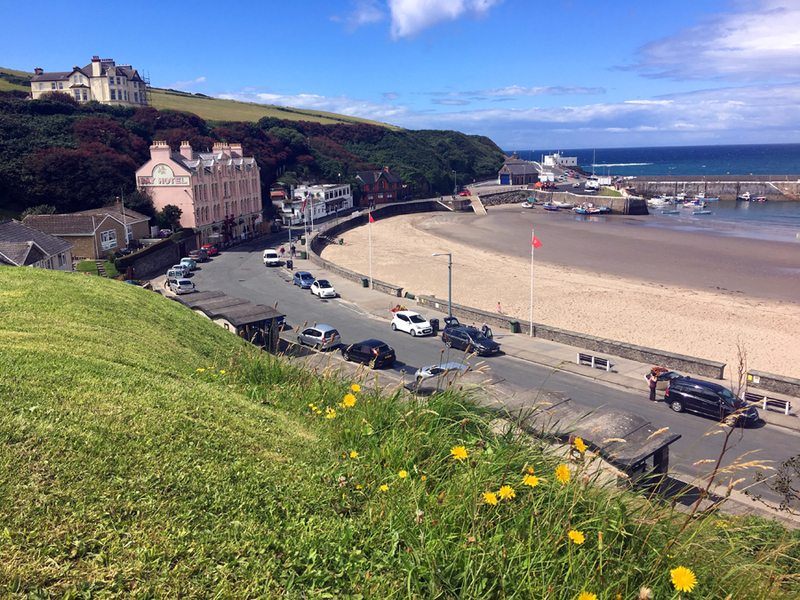 The pretty coastal town of Port Erin must be visited. 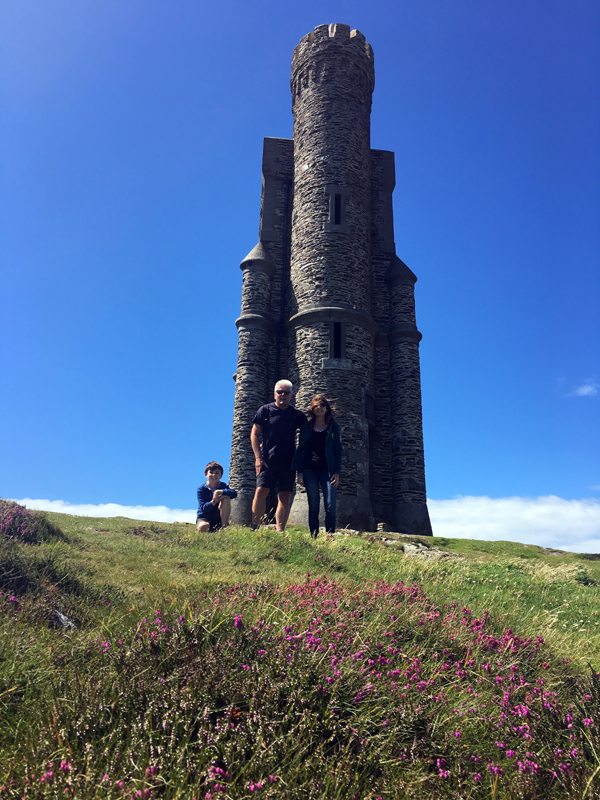 While you’re there, walk to Milner’s Tower atop Bradda Head. It’s an easy coastal walk which heads through trees and then out into the open before finally reaching Bradda Head. 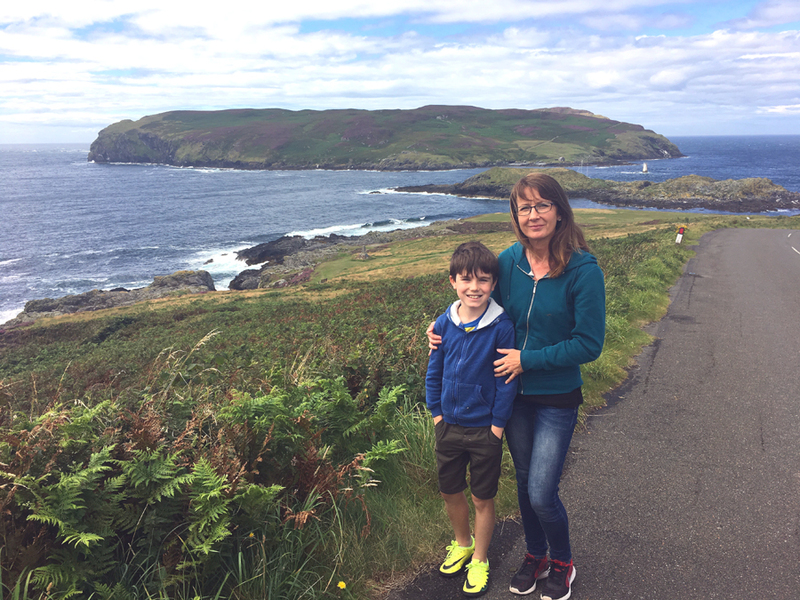 We took a picnic and sat close to the Tower looking back towards Port Erin Bay; as it was a fine day, we could even see the Calf of Man, just along the coast. The 19th century tower is built in the shape of a lock and dedicated to William Milner, a Liverpool safemaker who was a generous benefactor in the town. 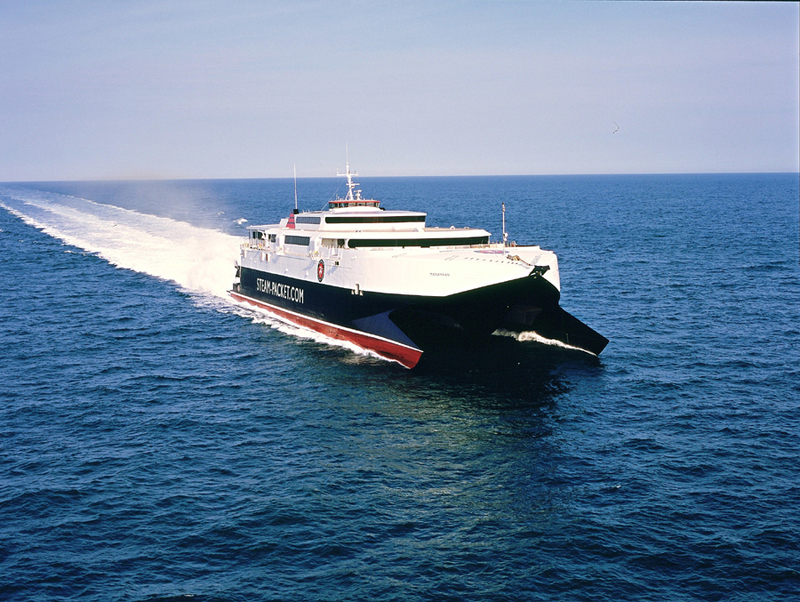 We took our car to the Isle of Man, but even if you fly we’d recommend hiring a vehicle as soon as you arrive. Driving is a real pleasure here and among the routes not to be missed is the Mountain Road, officially classified as the A18. It links Douglas and Ramsey, the two largest towns, and snakes its way over the top of the island for 15 miles. 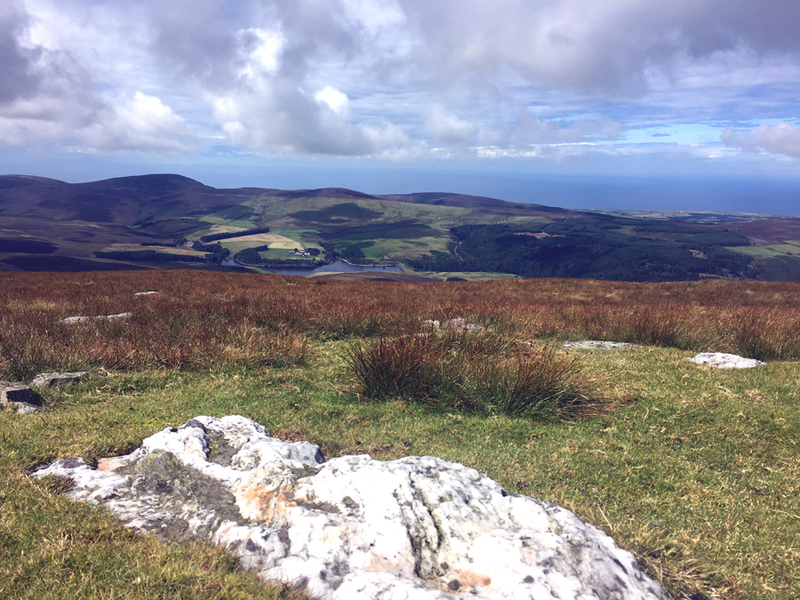 This scenic route, used for the famous TT races, offers some wonderful views. 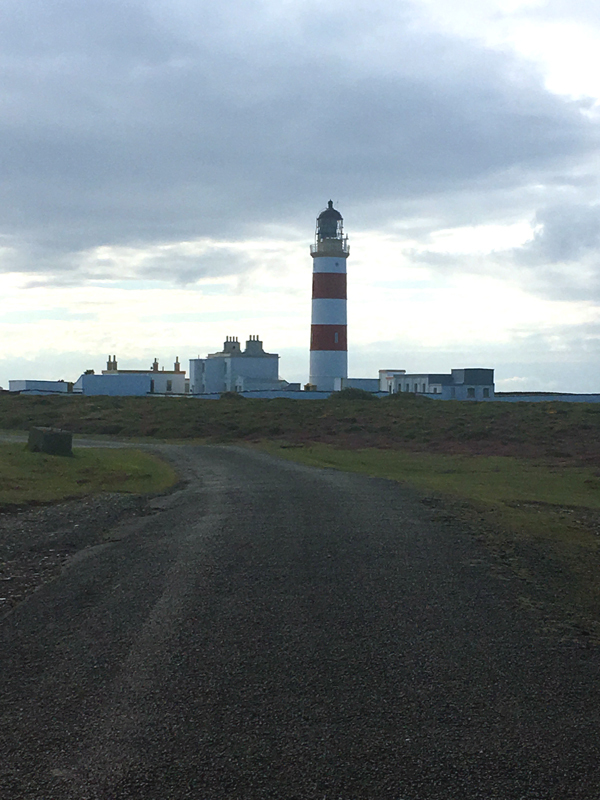 Another drive we enjoyed was up the west coast to the Point of Ayre Lighthouse, the Isle of Man’s most northerly tip and closest point to the British mainland, just 16 miles away. 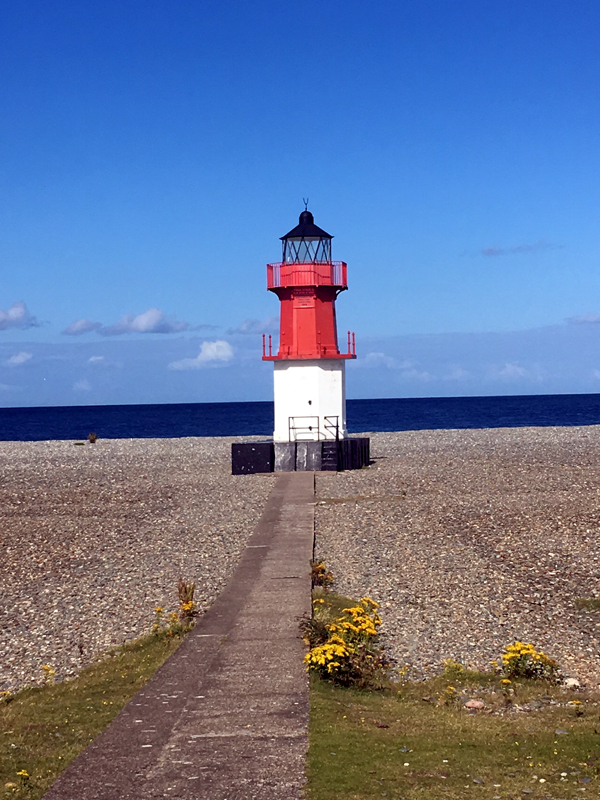 There is plenty of parking space (and it’s free) so we enjoyed walking around by the lighthouse, the huge fog horn and across the huge, lunar-like shingle beach. The beach’s appearance is constantly changing due to the strong offshore currents disturbing the shingle. 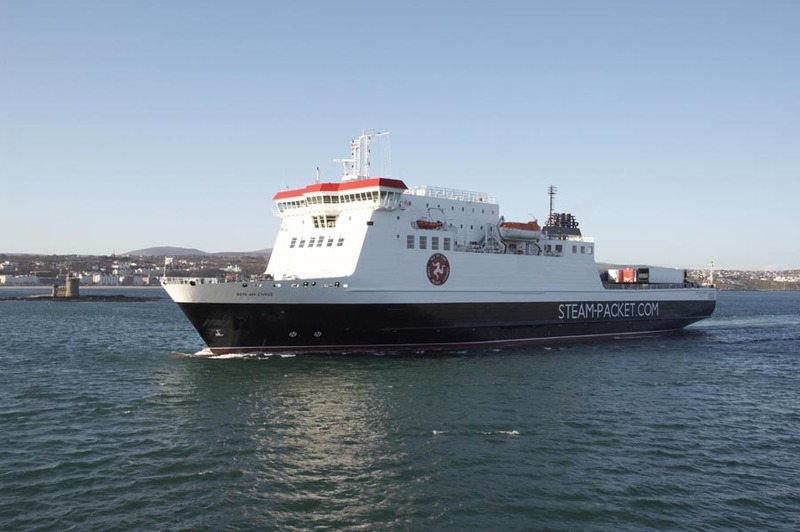 The Steam Packet Company (www.steam-packet.com) operates regular ferry crossings from the UK mainland while you can fly from airports all over the British Isles. We took our own car so caught the ferry from Liverpool to Douglas but returned to the mainland at Heysham. Both crossings were fine and on the way back we tried out a cabin, which added to the overall experience. But on both legs of the journey, the vessels contained all the facilities needed, including a restaurant. 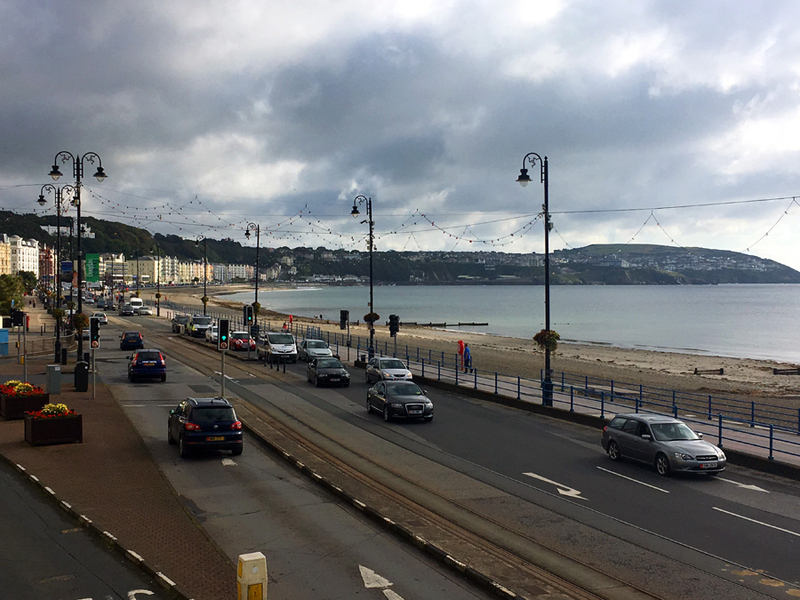 The Isle of Man’s exciting food scene is evident at many of its eateries. One evening, we dined at The Courthouse (01624 672555; www.the-courthouse.com; Athol Street), an elegant Grade II listed former courthouse offering modern British cuisine in Douglas. On another day, we had a busy schedule ahead so picked up a picnic lunch from The Alpine (01624 619249; www.thealpinecafe.com; 5 Regent Street, Douglas), where the owners proudly produce sandwiches, healthy salads with seasonal selections available daily, etc. 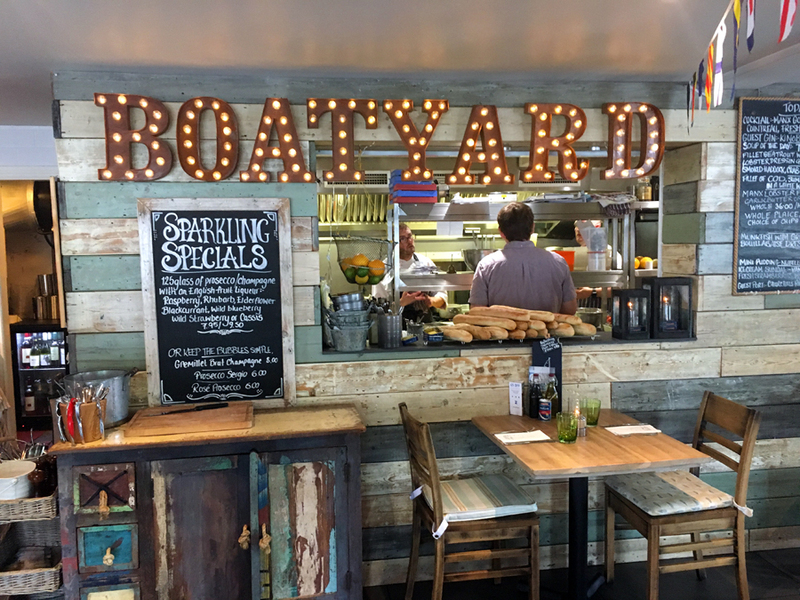 One of our favourite meals was lunch at The Boatyard (01624 845470; www.theboatyardpeel.com; Mariner’s Wharf, East Quay), a trendy eatery alongside Peel Harbour where we enjoyed fine veggie/vegan dishes, although fish and meat dishes were on the menu, too. All the dishes were well presented and as appealing as the lovely harbour views. 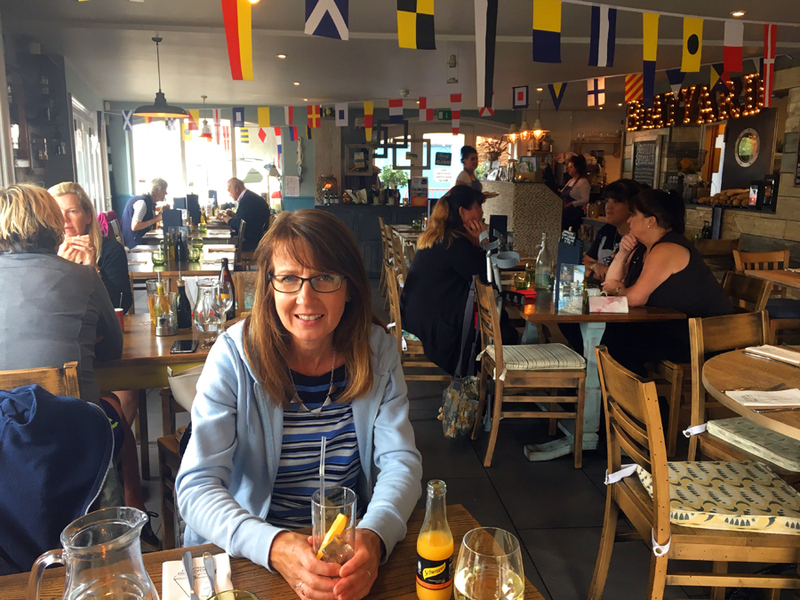 We loved the owner’s intriguing use of pilchard and sardine tins plus other bits and pieces dotted around the restaurant. Highly recommended. There are plenty of hotels, B&Bs and self-catering options to choose from. 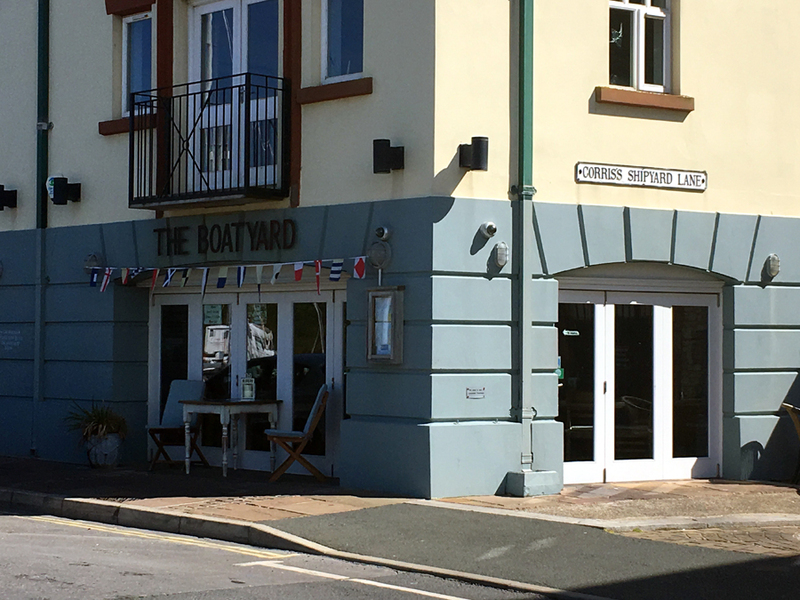 But for the duration of our visit, we stayed at the contemporary Mannin Hotel (01624 602555; www.manninhotel.im; B&B from £100), the island’s newest hotel, having opened its doors in 2016. 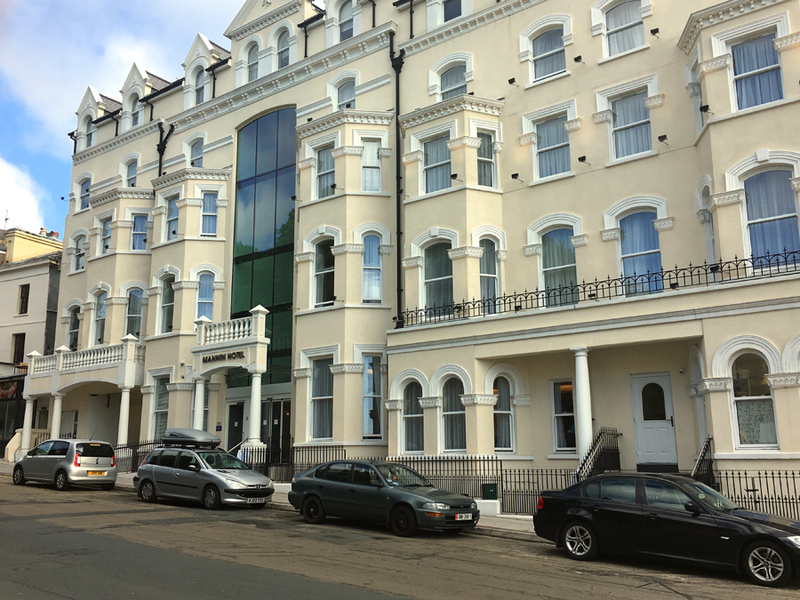 Built on the site of two former properties dating back to the 1880s, it offers 54 stylish rooms just off the seafront. All bedrooms have air conditioning, free wifi, safe and tea/coffee-making facilities while a small car park is situated under the hotel. We eat at the restaurant one evening and couldn’t fault the service, food or atmosphere. Overall, the hotel’s location, minutes from the town centre and a step away from the promenade, made this an ideal choice. 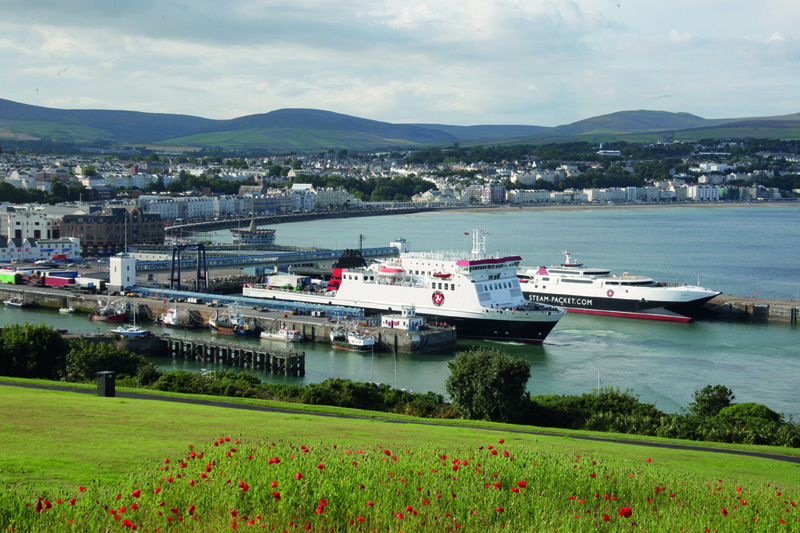 Visit the official tourism site, www.visitisleofman.com, for everything you need to know about the isle.